It's getting closer...... I stopped counting how many days are left before Christmas and decided to stop and remember what Christmas is all about. I decided to continue with this thought in my Christmas card making! You may not know this, but I am "Die Cut" handicapped - self confessed! 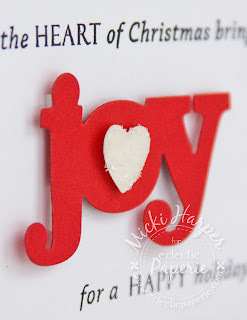 I love all the elegant projects with extensive, multiple die cuts yet I for some reason always have issues or hiccups which turns a project into a major ordeal. Anyway, when I first saw the Seasonal Sentiments die set from Wplus9, I knew that even with my "handicap", I was going to get it. And I am so glad I did. 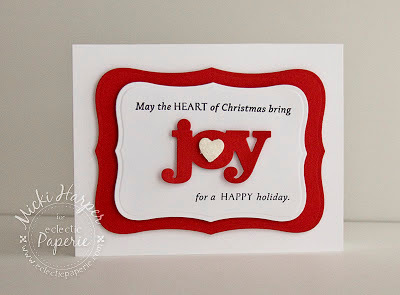 The sentiment is from Wplus9 Design Studio - Pretty Patches: Christmas, stamped with Memento Tuxedo Black ink. 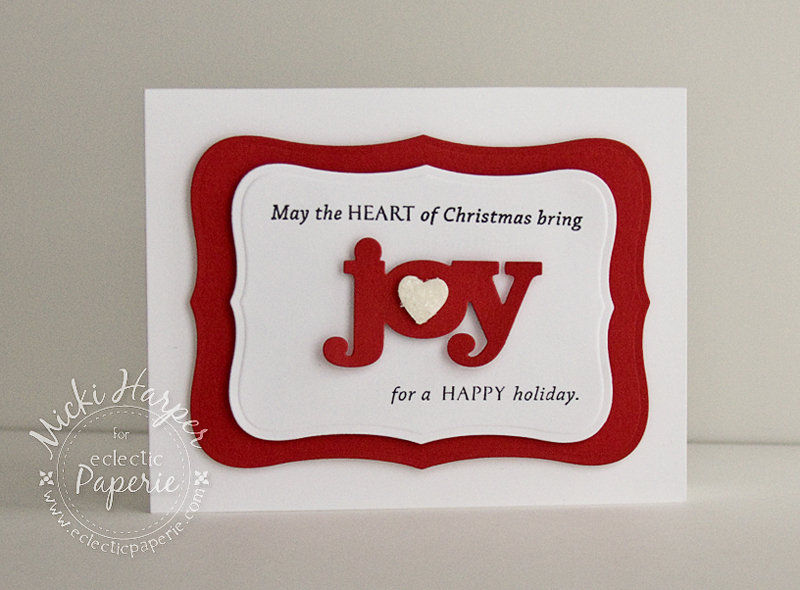 I used the Fiskar Stamp Press which allowed me to space the two sentiments apart to leave room for the die cut. To add dimension to the die cuts, I cut the Scotch Foam Mounting Tape square into smaller pieces. Found some snow glitter which was added to the heart die cut and left it at that. Simple, clean, no fuss card which truly was a joy to create. So effective, love how you have used the die, it looks great and really pops! Love the clean, sharp design of this - a wonderful card!